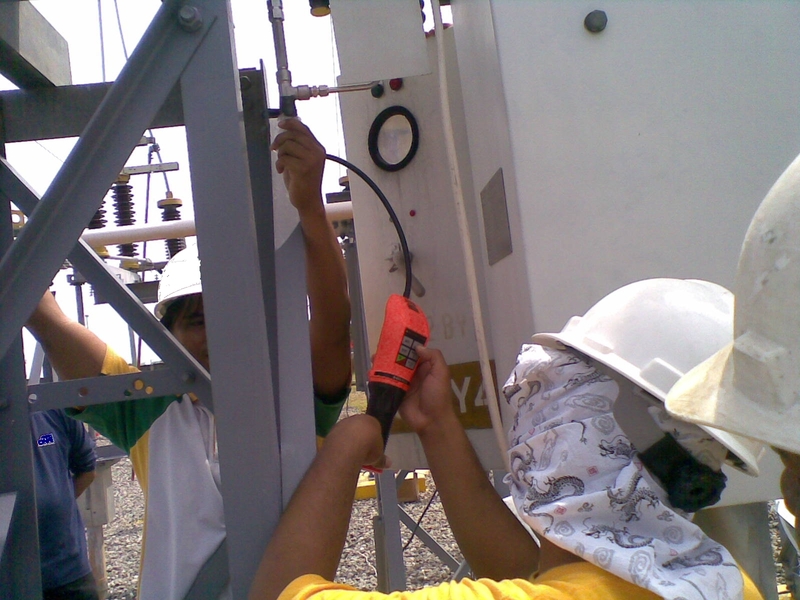 SF6 gas is one of the common insulating medium of high voltage power circuit breakers. Eventhough this gas is odorless, colorless, and non-toxic, it is one of the greenhouse gases that contribute to the destruction of ozone layer. Therefore, proper handling of this gas must be done inorder to minimize, or eliminate the escape of this gas to the atmosphere. 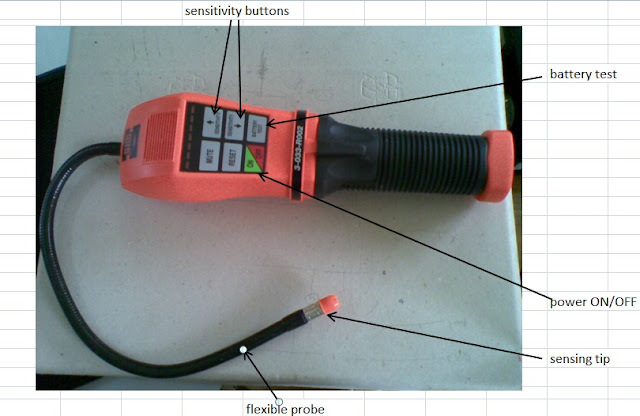 We can also check the integrity of the pipings of SF6-insulated power equipment so that no SF6 is leaking. One test unit that is used in detecting SF6 leak is the SF6-Gas Leak Detector (model no. 3-033-R002) by Dilo. 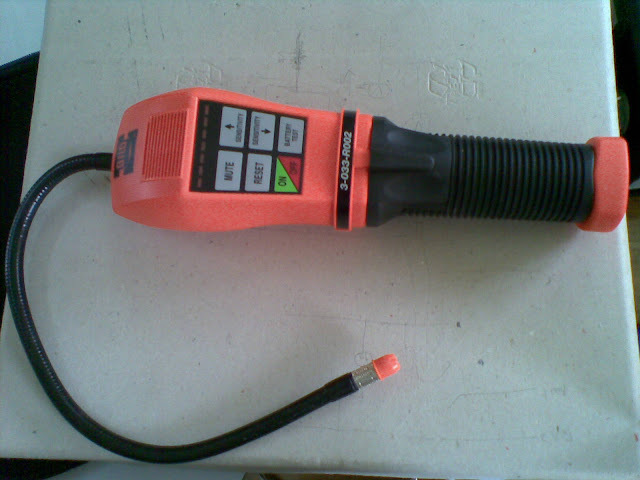 This leak detector is hand-held and it can be position near to the suspected source of leak. Advance features of this test include microprocessor control with advanced digital signal processing, tricolor visual display, seven levels of sensitivity which is equivalent to 64 times the lowest sensitivity. This test unit operates with 2C-cell batteries and it detects SF6 and all halogenated refrigerants Its mechanical pumping provides positive airflow through its sensing tip. Switch the unit on by pressing ON/OFF button. The unit sensitivity is set to level 5 by default. Adjust the sensitivity by pressing the ʌ button to increase the level and v button to decrease the level. 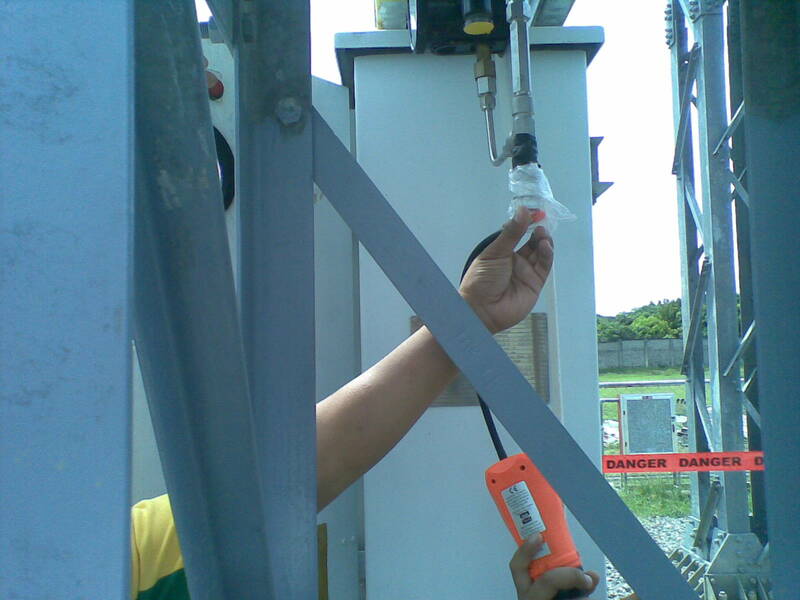 Place the sensing tip to the parts of the high voltage equipment where leak is suspected. If the audible tone changes from beep to siren, then SF6 leak is detected. If full alarm occurs before any leak is located, press the RESET button to reset the reference to zero. The unit has also a battery test button where the status of its battery can be seen when pressed through its LED indicators. If the battery is normal, the LED will lit green. If the battery is approaching to lower threshold or if below accpetable level, the LED will lit orange or red, respectively. In windy areas, large leaks are difficult to detect. 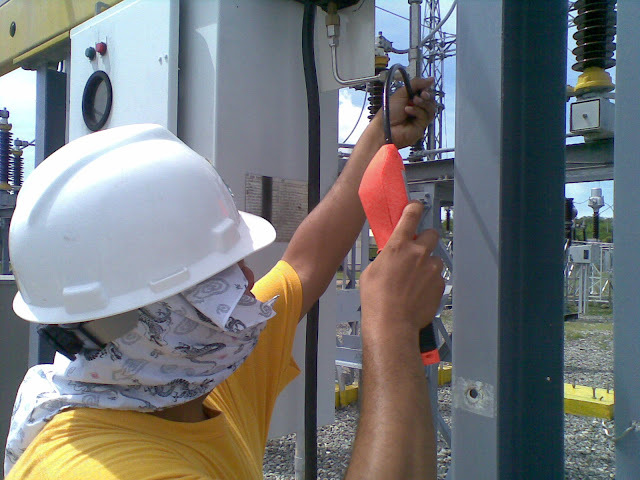 Under this conditions, it is recommended to shield the suspected leak area with tape or plastic bag. Always make sure the sensing tip is clean and avoid contact with moisture/solvents as the detector may give false alarm.